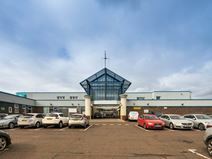 Close to the motorway and easily accessible, this business centre consists of a wide choice of offices, unfurnished and provided with kitchen facilities and reception area, 24/7 access, car parking and virtual office solutions to accommodate any of your needs. This centre is located on the established Champions Business Park, offering a range of modern office space that comes fully furnished. The building is completely secure with state of the art security alarms and 24/7 CCTV in operation. Tenants have access to the meeting rooms onsite that are free of charge, the break out areas and the well equipped kitchen. There are may car parking spaces available. The site has good transport links via car, bus and train. A huge range of work spaces are on offer at this 26 Acre Business Park. There are industrial units as well as unfurnished office space, giving plenty of options for your new business location. The business park is easily accessible by car, bus or train. The property is secured with CCTV that is on 24 hours a day, 7 days a week. An on-site cafe ensures great coffee just a stones throw away from your desk. 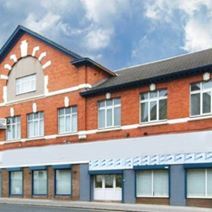 Offices of various sizes are available at flexible rental terms in Birkenhead. Provided with parking facilities, lounge area, maintenance and cleaning services, they offer a very professional working environment. Close to the major commercial area of the city, these offices are located in the vicinity of bars, restaurants, shops and the major attractions of the city. They are close to the motorway network and well connected to the surrounding cities.